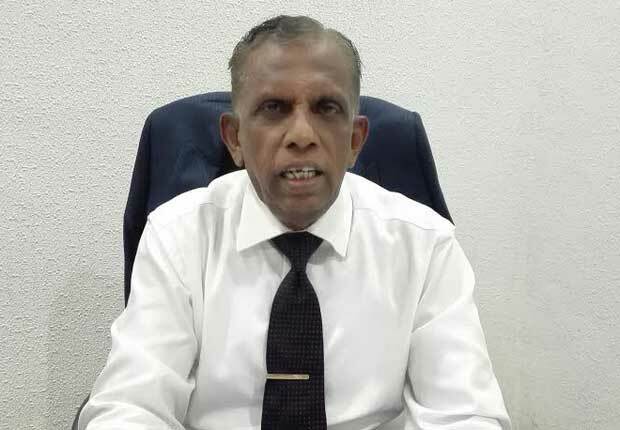 Secretary to the Public Representation Committee on Constitutional Reforms, Winston Pathiraja, in an interview with the Daily Mirror, says a new Constitution is the need of the hour. He feels power should be shared between the centre and the periphery. As the Secretary to the Public Representation Committee that deliberated with the general public on Constitution-making, how do you see the importance of people’s views? As the coordinator of the outreach programme of constitutional reforms and constitution-making, I must start by saying as to why a new Constitution is required to be drafted at this juncture. There are so many concerns to be addressed when a Constitution is being drafted. We have had three Constitutions in the country; in 1947, 1972 and 1978. The Soulbury Constitution was introduced by the British. For its legitimacy, it was under the British Parliament. The 1972 Constitution was drafted by a constitutional assembly under an SLFP government. Its legitimacy depended on its own people, completely disassociating with the British Parliament. The 1978 Constitution was drafted and adopted through a parliamentary select committee under a UNP government. The main feature of these three constitutions is that the people were never consulted. Therefore, they cannot be called people’s constitutions. Also, the participation of Tamil people was hardly witnessed. While there are other vital factors that warrant a new constitution, the bitter experience endured by people since Independence is one. There were two insurgencies and an armed struggle for 30 consecutive years. They caused the destruction of properties, loss of innocent lives and grave damage. There were detrimental effects arising from the powerful executive presidency. There are shortcomings in the electoral system based on preferential voting. It triggered corruption and misappropriation of public funds. There emerged the urgent need for greater empowerment of people at grassroots level through power-sharing. Power-sharing is the most important thing people want. That is more so, for people in the North and the East. Power has not been devolved substantially to them. A new constitution is needed because of these. We tell people about it. It is the need of the hour. In working out this report, you interacted only with 2000-2500 people. Sri Lanka has a population of 20 million. How scientific is the sampling process to get a clear view? In the past, people have never been consulted in making constitutions. At least, in making the Soulbury Constitution, people were given a questionnaire and guided to answer. In the current process, the Public Representation Committee was appointed. The intellectuals were appointed to tour the country and study the views and aspirations of the people. We were asked to see how their views could be incorporated in the new constitution. We prepared a document outlining our approach. We spent two days in each district. We wanted the people to visit us. We requested the District Secretaries to instruct Grama Niladharis to give wide publicity for this endeavour. In Colombo, we stayed eight days because the demand was high. Then, 2000 involved were not mere single individuals. There were groups. For example, Jathika Sevaka Sangamaya (JSS), a trade union, showed up. There were five people representing the whole movement. There were various civil society organisations, trade unions and religious dignitaries. When you take all that into account, the sample is not that bad. It means this sample consisted of 10,000-15,000 people. The participation of people, at each Divisional Secretariat, was very high. We also got submissions in writing and via emails. I mean to say that the common man did not come forward as such. It was mere NGOs with interests in the subject that showed up. What have you got to say about it? There is a point in what you say. The NGOs might have closely observed the advertisements we made in all three languages. They might have had ulterior motives. However, we did not stop at that. We covered all 25 districts in the country. There, we never allowed organisations to come. According to your interactions with people in this process, what sort of a Constitution do you think the ordinary man prefers? Not a single individual, right down from Point Pedro to Hambantota, sought the division of the country. Separation was not an issue. What they sought was power devolution. They wanted to play a part in governance and development efforts. The provincial council system that runs the country is not functioning properly. In fact, provincial councils were needed for the North and the East. Invariably, the North and the East were not functioning properly. The government keeps a string on the provincial councils by having appointed the governors with executive powers. In the North, the governor, at that time, appointed the provincial secretary, whereas the Chief Minister was not in a position to even appoint his secretary. When you say power devolution, it looks more like a demand coming from people in the North and the East. What is your view? Power devolution is anathema to the South. When you say Federal, it is not to their liking. However, the people of Jaffna favour power devolution. Although Federalism is not a novel concept, people do not fathom what it really means. It is terminology. We talk about power-sharing now. Power should be shared between the centre and the periphery. We suggest that power should be shared within the centre itself, by creating a second chamber and senate. The Parliament can pass legislation, but the second chamber can resist it. They can defer it. Then, it has to be referred back to Parliament. Parliament should provide valid reasons as to why it is passed. The actual reason is that people in the North and East have not felt that there is a government looking into them. Actually, the same structure of governance has been in the South. Why should there be a special situation in the North and the East? The issue is people here consider power-sharing as Federalism. Fearing that this might lead to separatism, they insist on unitary status. However, TNA leader R. Sampanthan, even recently, said maximum power-sharing should prevail under an undivided country. Today, it has come to a diluted situation. Had the Banda-Chelvanayagam Pact been implemented at that time, this problem would not have cropped up. Some leaders, in order to gain political mileage, expressed many things such as making Sinhala language official within 48 hours. Those things were wrong. Now, the politicians have to realise that such ideas are not acceptable. That is why the President was overwhelmingly supported by the Tamils and Muslims. In this report, there are recommendations to make Sri Lanka a secular state, to do away the foremost status accorded to Buddhism and for the recognition of rights of people with different sexual orientations. How big were demands in proportion to the number of people who participated in the deliberations of the committee? This is another important point. I am happy that you asked it. The committee has 20 members, and 19 of them are working. On crucial issues like religion, they all had contrasting views. We call those options. Options are given. The report contains public representation in this regard. Even the names and other details are given. As a percentage of the number of persons whom you interacted with, what is the proportion advocating such demands? There are no such things. Some people make representation to say it should be a secular state. They aver all sorts of things. For the last 39 or 40 years, the current constitution carried the provision that Buddhism should be accorded the foremost place and the state must protect the Buddha Sasana. For the past four decades, Article 9 of the current Constitution has assured the foremost place to Buddhism and the State to protect and foster the Buddha Sasana whilst Article 10 and 14 (1) (e) declare equality to all religions and the significance of assuring non-discrimination, honour and dignity. No one spoke about this as an issue for the last 40 years though it has already been enshrined in the current Constitution. My personal view is that if one reads Article 9 along with Article 10 and Article 14 (1) (e), then there cannot be any issue or controversy. Of course the PRC Report has given a number of options on the basis of views expressed by its members on the representations made by the general public and it does not mean that the PRC has recommended anything controversial. As the President said, we should not touch the areas where issues have not been raised. 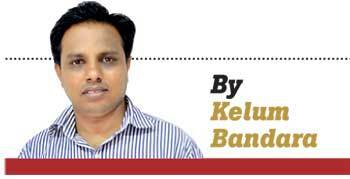 How valid is the power-sharing concept in Sri Lanka under Federalism? Actually, Federalism is meant to unite all groups by giving equal powers. People should feel that power is actually shared. There is a demand from the North and East that power should be devolved to the grassroots level. According to the PRC Report, the views of the general public are that power is not shared properly and sufficiently in the provinces/periphery by the Centre. Hence, the Provincial Councils, Pradeshiya Sabhas and other local bodies were introduced. People still want power-sharing at the rural level. They prefer the Grama Rajya concept through which they feel power could be shared at the grassroots, thereby participating in government development activities and the governing process. It is proposed that power-sharing should be practiced between Centre and the periphery and also at the Centre itself by way of establishing the Second Chamber of Parliament, members of which will be provincial representatives (Chief Ministers). In order to make the Provincial Councils more effective, PRC has proposed even diminishing of the powers of the Governors of the Provinces. How optimistic are you about the ongoing constitution-making process in the context of the political parties having contrasting views? In the political history of Sri Lanka, this is the first time where two parties engaged in hostile politics joined hands. The two major parties have formed a government. The TNA is also for an undivided country. Yet, devolution is advocated. He says the proposed constitution should be referred to the approval of people by referendum. Everybody wants a referendum. Do you also advocate it? Yes, it should be a referendum. If you take the process of constitution-making, it is transparent. The Prime Minister moved the framework resolution. It was adopted unanimously. It is to draft a new constitution. All the MPs supported it. It says Parliament should be converted to a constitutional assembly. The draft is not yet ready. The Public Representation Committee was appointed by the Cabinet to go before the people.